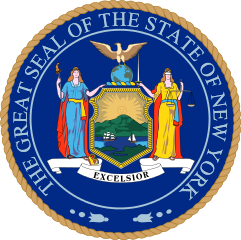 For sixty-five plus years Carey Boiler Works has offered fast and dependable boiler rental service to many customers in the New York area. Whether your steam or hot water boiler rental need is a result of a planned shut down, plant expansion, boiler replacement, seasonal rise in production, boiler failure, or natural disaster, we have the right portable boiler to get your facility back up and running! Our customers for long or short term include ship yards, office buildings, hotels, apartments, hospitals, laundry facilities, factories, schools, universities, government buildings and more. One call and we’re ready to roll! The boiler rental process can be fast and easy with a single call to Carey Boiler Works. 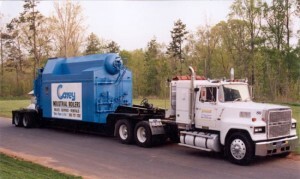 Our temporary rental boilers are shipped pre-piped and pre-wired in a trailer for fast and easy connection on-site. 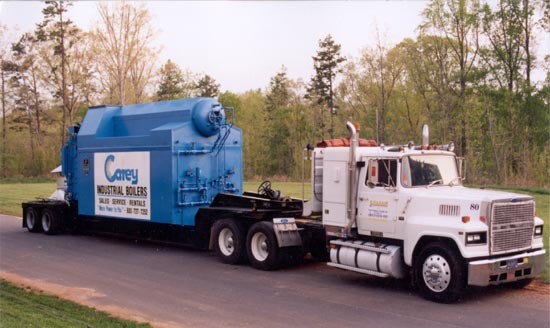 In addition to portable boilers, Carey Boiler Works also offers a complete line of new or guaranteed rebuilt boilers, a complete line of boiler room accessories ranging from deaerators, boiler feed systems, blowdown separators, chemical feed systems, etc and boiler replacement parts for all manufacturers of industrial and commercial steam or hot water boilers. So if you are in New York or nearby and the need arises for a temporary, new or rebuilt boiler, contact Carey Boiler Works today…your Single Source for ALL your boiler room needs! We maintain a fleet of temporary boilers ready to rent today!